Eucalyptus oil benefits our body in fighting a variety of infections and medical conditions such as blocked nose, arthritis, bad breath, headache and many allergies. 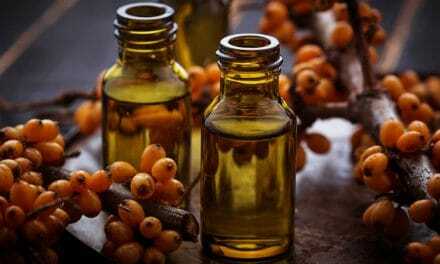 This single essential oil can boost your immune system and also find its uses in several home remedies to repel rats, stop mold growth, disinfect home and what not. Eucalyptus oil benefits are due to its amazing properties such as anti-inflammatory, analgesic, anti-microbial, decongestant, potent immune booster, pain reliever, etc. Moving further in this article, you will see various eucalyptus oil benefits and uses in detail. Eucalyptus oil is extracted from the dried leaves of the Eucalyptus tree of the Myrtaceae family by process of either steam distillation or cold (with CO2) distillation. Genus Eucalyptus has around 500 species and out of which Eucalyptus globulus or Blue Gum, grown initially only in Australia, is now grown extensively in China, India, South Africa and parts of Europe. Eucalyptus trees are comparable to a human body. All their parts are useful. Their leaves are used to produce the multipurpose Eucalyptus oil, the bark is processed to make paper, and wood acts as fuel and timber. Nowadays, this colorless liquid, with a strong camphor-like smell, has varied uses in almost all walks of life, from relieving a blocked nose to repelling rodents. Eucalyptol or Cineole is the active ingredient of eucalyptus oil. This terpenoid has anti-inflammatory, anti-oxidant, decongestant and pain-relieving properties. When this oil is applied on our skin, where the inflammation or pain is present, the oil diffuses to the skin and reduces the symptoms. It also has antimicrobial activity against a few bacteria, viruses and fungi. When we spray this miraculous oil into our nose, eucalyptol breaks the bonds in our tenacious sputum and liquefies it. Thus, making it easier for us to cough it out and get relieved. According to British Pharmacopoeia, at least 70% of eucalyptus oil must be composed of Cineole to be of pharmacological use. (1) Eucalyptus kochii and Eucalyptus polybractea are the trees which have the highest concentration of Cineole. While Eucalyptus globulus, also called gum tree, produces most of the Eucalyptus oil. Low-quality oils undergo rectification where they undergo repeated distillation to increase their eucalyptol content. The most irritating part of the common cold is a blocked nose and constant nasal irritation. Inflammation of nasal mucosa causes irritation and consequently, a runny nose. On the other hand, Hydrogen and disulfide bonds in our phlegm make in thick which leads to a blocked nose. Eucalyptol is anti-inflammatory and hence, it reduces irritation and watery discharge. It also breaks the bonds in phlegm which liquefies it so that we can effectively remove it by blowing our nose or coughing. Also, its antimicrobial property protects us from any further infection which may occur during the common cold. Steam inhalation – Add 10-15 drops of this oil to a bowl of boiling water, cover your head and bowl with a towel so that steam can’t escape. Deep breathe for 10-15 minutes. Diffuser – Add a few drops of this oil into your diffuser and keep it on at night. With increasing prevalence of chronic and debilitating respiratory illnesses, the need for natural remedies is growing. Eucalyptus essential oil has shown beneficial effects in a variety of conditions like COPD, chronic bronchitis, asthma, sinusitis and sore throat. Cineole’s anti-inflammatory and anti-microbial properties take the front seat for combating respiratory diseases. It also boosts our immune system to prevent future infections. 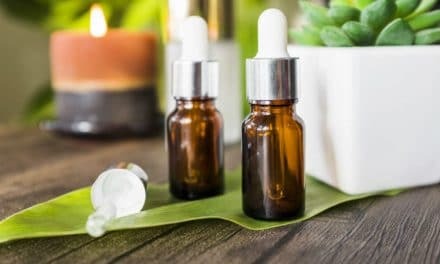 A randomized clinical trial held in northern Israel to see the effects of 4 aromatic essential oils like Eucalyptus, Rosemary, Peppermint and Oregano on Upper respiratory tract infection (URTI) was performed. Vapor rub – You can make a customized vapor rub with eucalyptus essential oil, peppermint, coconut oil, and beeswax. Apply it on your chest and the back of your neck. Gargle – Fresh Eucalyptus leaves can be used in a gargle to mitigate a sore throat and sinusitis. Microbial resistance against conventional medicines is on the rise, and new ways are being explored to combat this situation. When in a predicament, we always turn to Mother Nature. Various natural inhalational and oral compounds are available which are effective against pathogens. One such aromatic compound with minimal side effects is Eucalyptus oil. Spray and gargle – A homemade version of Thieves Essential Oil can be made by mixing Eucalyptus, Lemon, Rosemary, and Cinnamon essential oils. You can either spray it in your bedroom or use it as a gargle. Eucalyptus oil benefits people suffering from seasonal allergies as it is a potent immune system modulator. Hence, it prevents immune cells from secreting harmful cytokines on coming in contact with an allergen. Also, due to its anti-inflammatory action, this terpenoid alleviates the manifestations of allergic conditions like asthma, hay fever, and allergic rhinitis. Diffuser: Add 4-5 drops of Eucalyptus oil into your diffuser from 1 month before to 1 month after the season in which you face allergies. Topical preparation – Add 2-3 drops of Eucalyptus oil to a carrier oil (coconut oil) and then, apply it to your temples and chest. Anti-inflammatory and analgesic properties of Eucalyptus oil make it an ideal remedy for joint pain in chronic inflammatory conditions like Rheumatoid Arthritis and Osteoarthritis. When applied topically, it diffuses through the skin and reaches the muscle where it helps to minimize muscle soreness and swelling. A clinical study was held in which 50% of patients who had undergone total knee replacement were made to inhale Eucalyptus oil for 30 minutes for three consecutive days while the remaining 50% inhaled Almond oil (placebo). Topical preparation – Mix 2-3 drops of Eucalyptus oil with a carrier oil (coconut/olive oil) and apply it on the affected area till pain and inflammation become bearable. 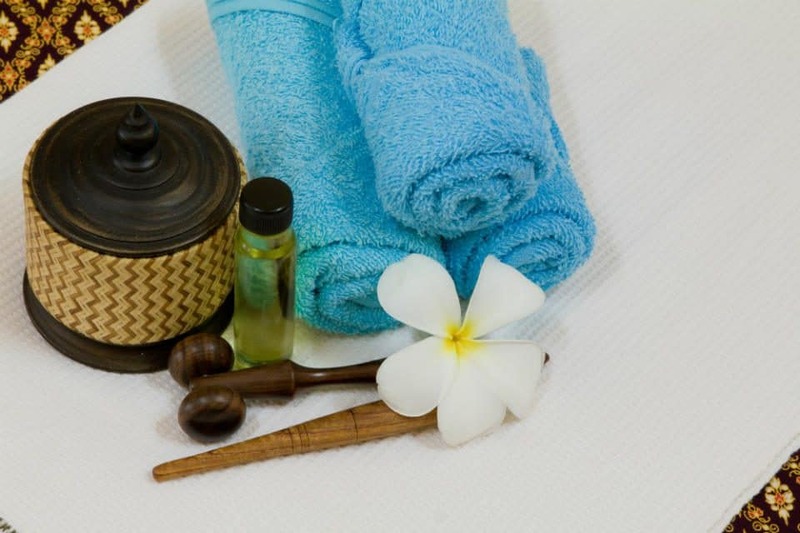 Hot Bath – Add 10-20 drops of Eucalyptus oil to a hot bath. The warmth from heated water and analgesic action of oil will relax the stiff and aching muscles. In sinusitis and rhinosinusitis, there is a build-up of mucus and fluid which creates a positive pressure within the inflamed air spaces which in turn leads to a headache. Eucalyptol, in addition to being a decongestant, also has anti-inflammatory and pain-relieving properties. Hence, its daily application reduces not only your headache but also its underlying cause, i.e. Sinusitis. Inhalation (to clear sinuses) – You can inhale this oil through several ways such as steam inhalation after adding 10-15 drops of this oil in boiling water or 4-5 drops in a diffuser or even inhaling directly from the essential oil bottle for 1-2 minutes. Topical application (for analgesic action) – Mix 2-3 drops of this oil in a carrier (such as coconut oil) and apply it on your temples and back of the neck. Earache is caused by increased fluid and mucus inside the ear cavity because of 2 reasons – an infection in the ear canal itself or fluid leakage from infected sinuses and nasal passages. Antibiotic drops with mucolytic agents are the mainstay therapy for an ear infection. The mucolytic and antimicrobial activity of eucalyptus oil helps to reduce pain as well as the underlying infection. Topical preparation – Dilute 2-3 drops of eucalyptus oil in a carrier oil and apply it in the outer part of your ear canal. Almost on a daily basis, our skin endures pollution, harmful microbes, sun rays, and injury. Over time, these deleterious factors will take a toll on this aesthetically important organ. 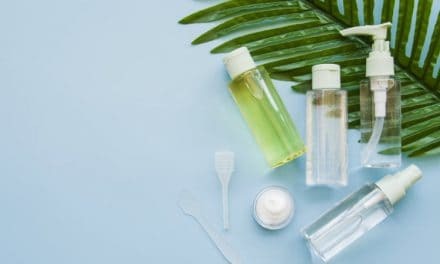 Bacterial and fungal infection, acne, boils, ulcer, cuts, insect bite and cold sore create a plethora of dermatological conditions which can affect our wellbeing. Eucalyptol has an intrinsic sun protective factor of 3, and when mixed with olive oil, it provides adequate sun protection. This essential oil also moisturizes our skin thus, keeping it hydrated. It also soothes cuts and ulcers due to its analgesic action. Acne and blemishes – Mix 1 drop of this oil in 3 drops of water, dip a clean cotton piece, apply it on your face and leave it overnight. 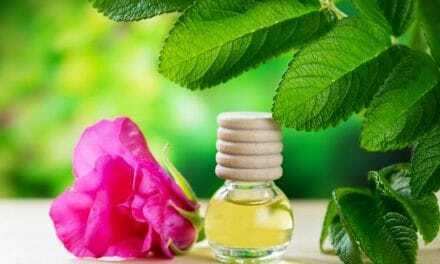 Insect bite – Apply 2-3 drops of this essential oil on the sore area with a cotton piece every day till swelling and pain disappear. Oral hygiene revolves around prevention of dental plaque, caries, and halitosis or bad breath. The main reason for these is the colonization of Streptococcus mutans which thrives on sugars present in our diet. For those who have a sweet tooth and want to protect themselves from this bacterium, Eucalyptus oil maybe their savior. Brushing – Add 1 drop of Eucalyptus oil to your toothbrush in addition to your everyday toothpaste. Mouthwash – add a drop of Eucalyptus oil and a drop of Peppermint oil (for menthol) to half a glass of water. Make sure you don’t swallow the mixture. Eucalyptus oil clears our airways of mucus and hence, promotes entry of fresh air into our lungs. This leads to increased oxygen delivery to our brain and muscles. Consequently, fatigue produced by overuse of either is washed off, and you feel rejuvenated. You can think clearly and have a renewed bout of energy. Inhalation – Take a few deep breaths directly from the bottle after a tiring day at work, and in no time, you will be filled with renewed energy. Topical application – Massage a diluted mixture of 2-3 drops of Eucalyptus oil and coconut/olive oil on your temples, wrists, and soles of your feet. Because of its antibacterial activity, it helps to disinfect surfaces and also leaves a pleasant smell after use. In addition to this, it effectively removes greasy dirt and mold from all the nooks and corners of your home. Insect repellant body spray – 20 drops Eucalyptus oil and 10 drops Lavender oil in 250 ml of distilled water. Disinfectant – 20 drops Eucalyptus oil in 250 ml of distilled water in your spray bottle. Prevent mold growth – 5 drops Eucalyptus oil in your surface cleaner or vacuum cleaner. While using Eucalyptus oil as a gargle or mouthwash, make sure you spit it out. Ingestion of essential oils causes burning, nausea and diarrhea. If you have sensitive skin, apply a drop of eucalyptus oil on your forearm and wait for 24 hours. If redness, swelling or pain develops, either discard the oil or dilute it in a carrier oil (coconut/olive oil) before use. Keep its bottle out of the reach of children and apply only diluted Eucalyptus oil for them. Pregnant and Lactating mothers must consult their physician before using essential oils. From the assortment of essential oils known to humankind, Eucalyptus oil has maximum therapeutic and preventive uses. Eucalyptus oil benefits people in getting relief from respiratory conditions, headaches, muscle and joint pain, earache, dental plaque, etc. However, it is a double-edged sword as its unregulated use may have deleterious effects in the form of irritation, nausea, diarrhea, and allergy. Responsible use of Eucalyptus oil can make our life more comfortable and healthier.